Dr. Jim Black, is an internationally recognized expert in enrolment management as well as in change management. He has published a monograph titled, Navigating Change in the New Millennium: Strategies for Enrollment Leaders, and four books, The Strategic Enrollment Management Revolution, considered to be a groundbreaking publication for the enrolment management profession, Gen Xers Return to College, Essentials of Enrollment Management: Cases in the Field, and Strategic Enrolment Intelligence, Canada’s first book on enrolment management. Among his other published works are numerous articles and book chapters including a feature article in College & University, Creating Customer Delight; a chapter, Creating a Student-Centered Culture, for a book on best practices in student services published by SCUP and sponsored by IBM; a chapter on enrolment management in a Jossey-Bass book on student academic services; as well as a bimonthly feature in The Greentree Gazette. Dr. Black is the founder of the Community College Enrollment Management and Student Marketing Symposium and the National Conference on Student Retention in Small Colleges as well as the cofounder of the National Small College Admissions Conference and the National Small College Enrollment Conference. He formerly served as the director of AACRAO’s Strategic Enrollment Management Conference. Black was honored as the recipient of the 2005 AACRAO Distinguished Service Award and was selected as the 2012 Alumnus of the Year by his graduate program at the University of South Carolina. He has been interviewed by publications such as The Chronicle of Higher Education, Converge Magazine, The Enrollment Management Report, The Lawlor Review, and was interviewed for AACRAO’s Data Dispenser. Black also was featured in an international teleconference on enrolment management sponsored by The Center for the Freshman Year Experience at the University of South Carolina, and a PBS broadcast on “Blending High Tech and High Touch Student Services.” In 1999, Jim Black was named an IBM Best Practices Partner, one of only twenty-three in the world. 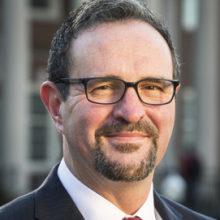 He was invited by The College Board to Heidelberg, Germany, to evaluate the APIEL Exam and most recently was invited to lead conferences on enrolment management and student services in the United Kingdom and the Netherlands. Jim earned a B.A. in English education and M.A. in higher education administration from the University of South Carolina, as well as a Ph.D. in higher education curriculum and teaching from The University of North Carolina at Greensboro. His doctoral experience provides SEM Works’ clients with unique perspectives into innovative pedagogical, curricular, and program opportunities that impact enrolment outcomes. Leveraging his educational background along with his many years as an associate provost, dean, and faculty member in a higher education environment, Dr. Black will provide your institution with strategic insights that are grounded in theory and are actionable.